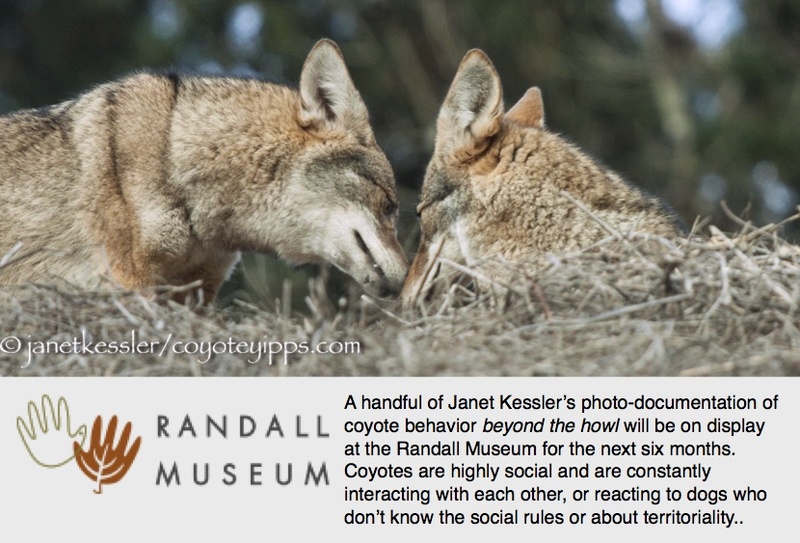 In the video I included scenes of goings on in the field other than those of coyotes. Rabbits are plentiful, I’ve never seen so many there. The first scene shows two in contention about something. The second scene shows rabbit contentiousness isn’t uncommon and that rabbits take dust baths (the rabbit in the rear flops down to roll in the dust.) Next is Mary investigating and running away, though I could not determine what she ran from. On a subsequent day both Rufous and Mary went toward the den area. Note the rabbits that jump around in the brush easily getting clear of her. Also, Mary seems to have scratched a marking onto her neck, and at that time appeared to still be nursing (June 7.) Following is a scene of a dancing rabbit. Next, a red-tailed hawk appears to have caught a rabbit. That hawk is a real work horse and is there every day. Over about two months I’ve only seen Rufous and Mary four times. The final three scenes are from June 28, 2013 and begin with a rabbit once again getting clear of the oncoming coyotes. Rufous goes ahead while Mary hangs back, both having spotted my two dogs and me. Rufous veers camera left and then appears to break into an unsuccessful chase of rabbit. The last scene show Rufous catching up to Mary near the entrance to their den area. Mary doesn’t appear to be nursing any longer, my first having noticed her lactating May 1. If you watch closely you’ll see another rabbit bounding away from Rufous and Mary, neither appearing to have expected to encounter yet another running rabbit. Both appear to look around for where the rabbit might have come from rather than to look for where the rabbit may have gone. As I said, the hawk is a real work horse, but he is an army of one against the rabbits and Rufous and Mary don’t seem to be taking up much slack. Not pictured are two skunks that seem to go wherever they want around Rufous and Mary’s place. Mom and Dad ran a tighter ship, that’s for sure. Becoming serious now: once Rufous and Mary went into the den area I didn’t hear the sounds of a coyote family reunion. However one clue, perhaps, that there were pups there is that Rufous and Mary were more interested in getting into the den area than in challenging my dogs and me. That was perhaps the first time that they didn’t message us to leave. Once they were concealed in the den area, they didn’t later come back out as in the past to check on my dogs and me, hopefully because they were being secretive and were busy with the pups. Another observation: when Rufous and Mary were coming straight at my dogs and me, Mary held back and Rufous went first, providing cover for her. When they traveled with their flank towards us, Mary went first where Rufous was placed to cover her rear and flank where he could easily cut off an approach. In neither case were they bunched up. Instead they were positioned for maneuver. As to the rabbits: in past years there weren’t as many in the field while at the same time more coyotes were living in the field, as many as seven in some years. Rufous and Mary remind me of my dogs where, upon having a rabbit run off, look around for where it came from after a short and unsuccessful chase. In the video it is interesting for me to see that to a coyote as to the camera, a rabbit is just a flashing tail that’s easy to lose sight of, an effective defense for the rabbit.